Made by excellent leather! Durable! Soft and Smooth-feeling! MegaGear Ever Ready case is the Best Nikon D5200 case There are many cases out there and although some of them can accommodate a wide variety of cameras and models, the best ones are definitely those that have been made specifically for a certain model. What makes the MegaGear Ever Ready Case stand out from the competition, is the fact that it has been designed specifically with Nikon's best selling D5200 camera in mind. 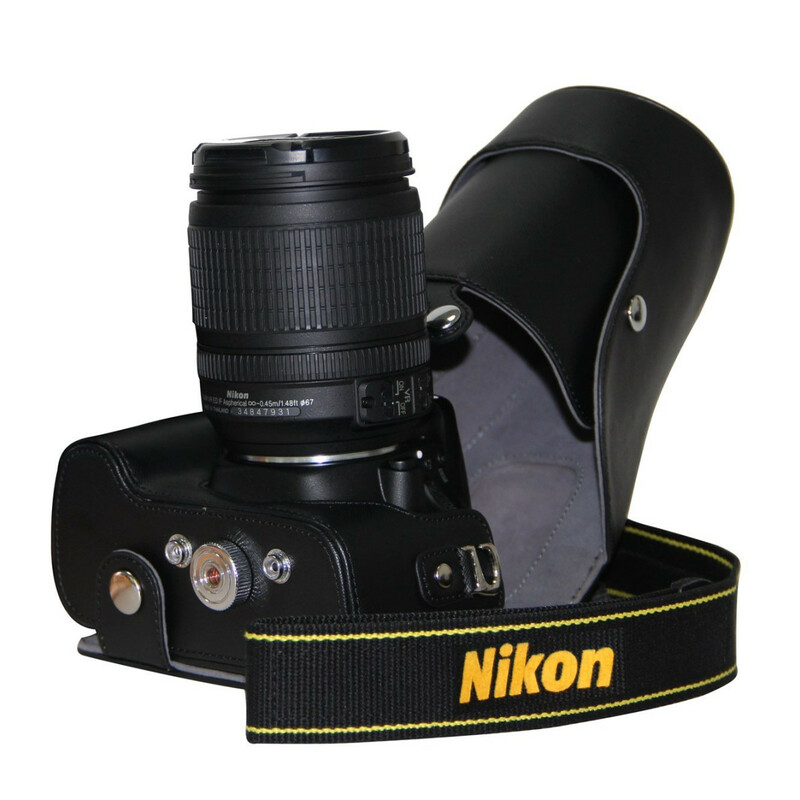 The case is made of PU leather, which will keep your camera safe from dust and falls. 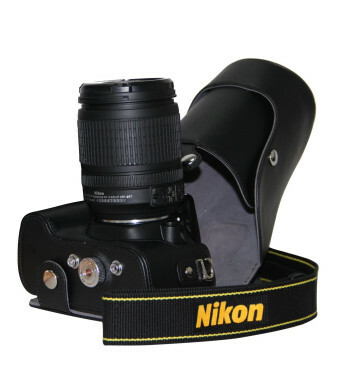 Its interior is lined with a really soft fabric, which will ensure that the lens of your Nikon D5200 camera won't get scratched or damaged, while you're carrying it inside the case. But perhaps the coolest thing about the case is the fact that it uses MegaGear's, Ever Ready, design. If you see a photo opportunity, while your camera is stored in the case, all you'll have to do is pull open the specially designed flap, and you will be able to easily take the photo, as if your camera wasn't in the case. You won't even have to take it out of the protective case in order to put it onto a tripod! If you are looking for the best protective case for your Nikon D5200 , then the MegaGear Ever Ready Case, is definitely the one for you.